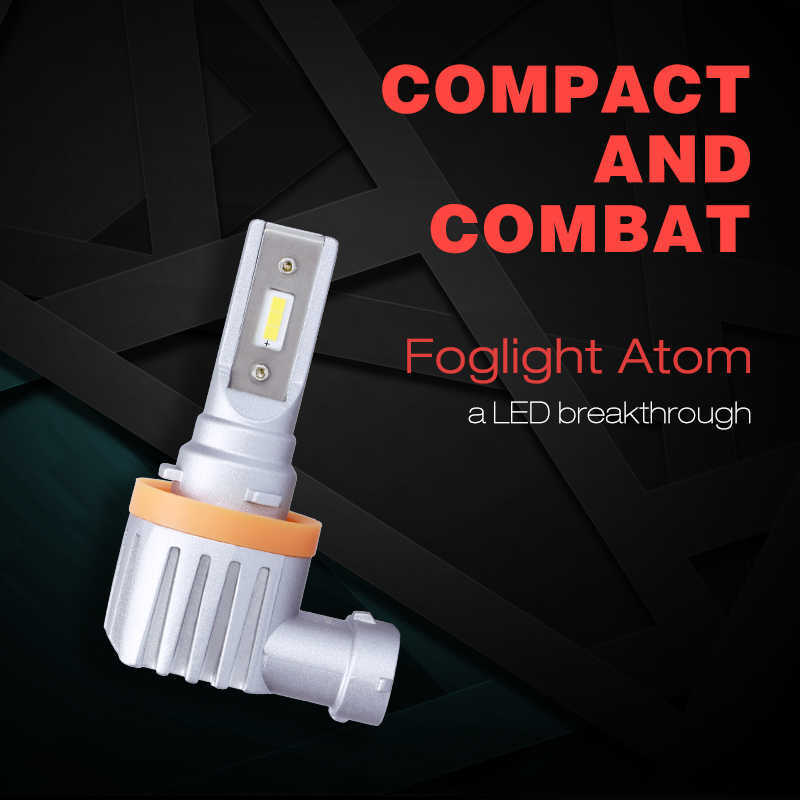 1, A single Atom E led fog light bulb produced 1800 lumen of light at 13W of working power, in comparison, the original 55W halogen bulb only produce around 1000 lumen per light bulb. 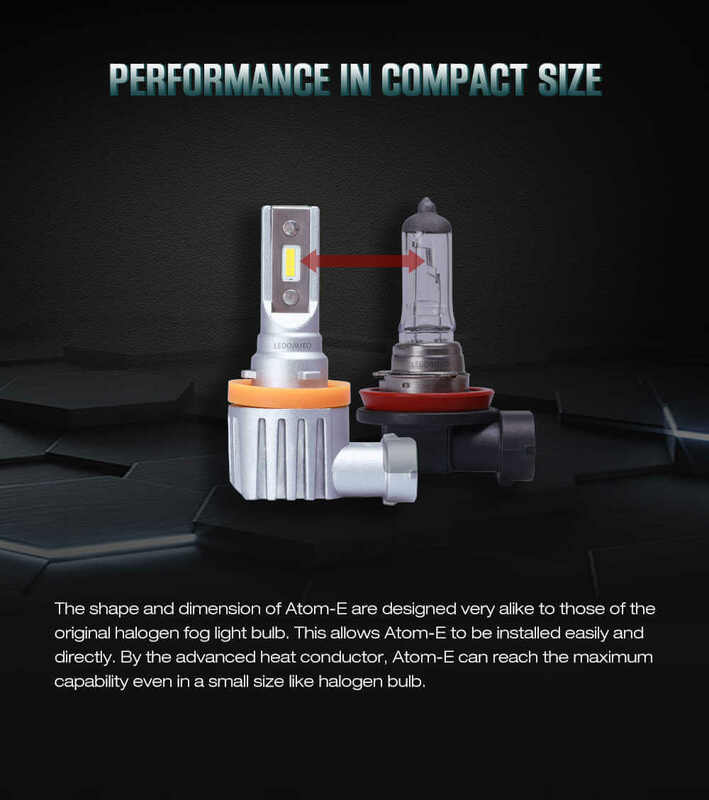 On bulb dimension, Atom E is quietly compact. 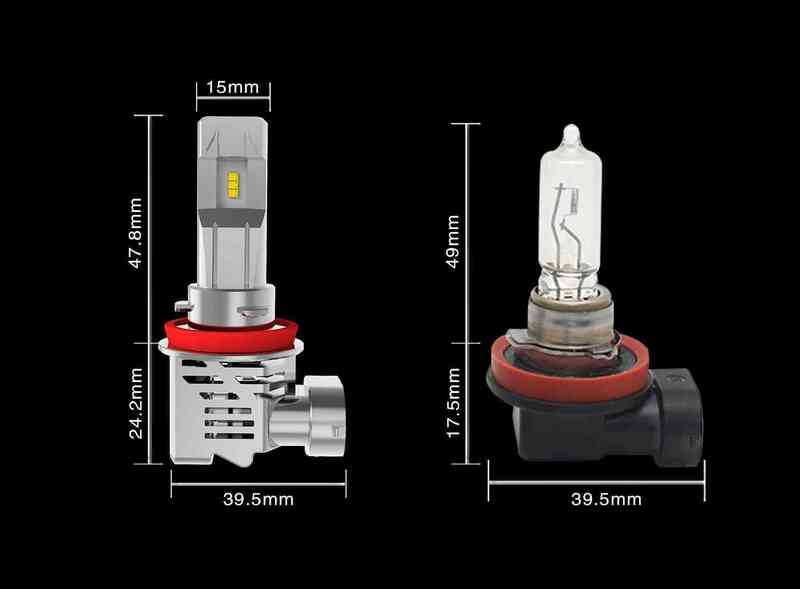 It is designed to closely simulate the shape and dimension of the original halogen fog light bulb. 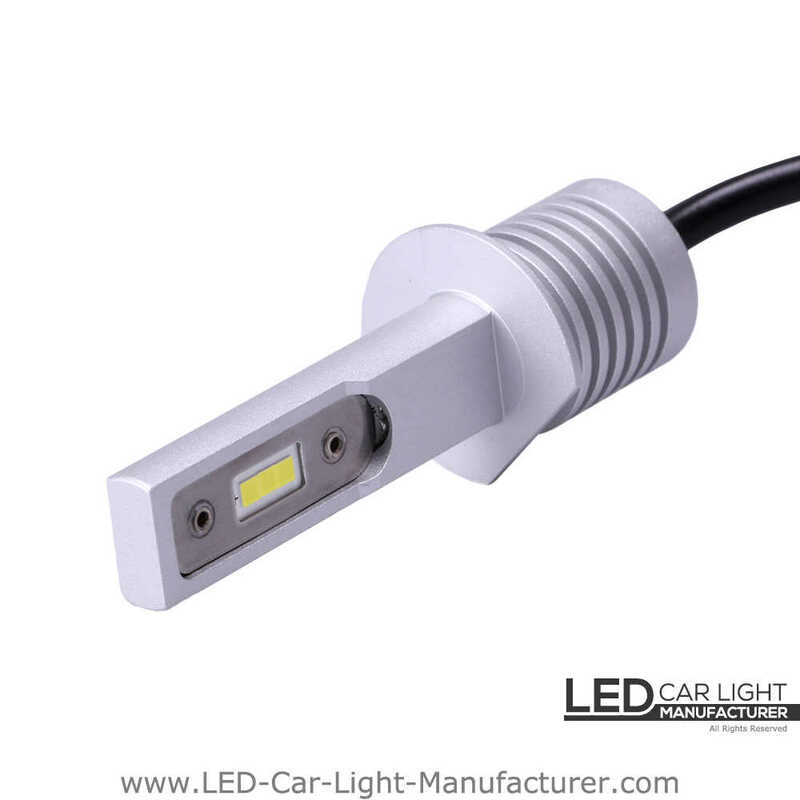 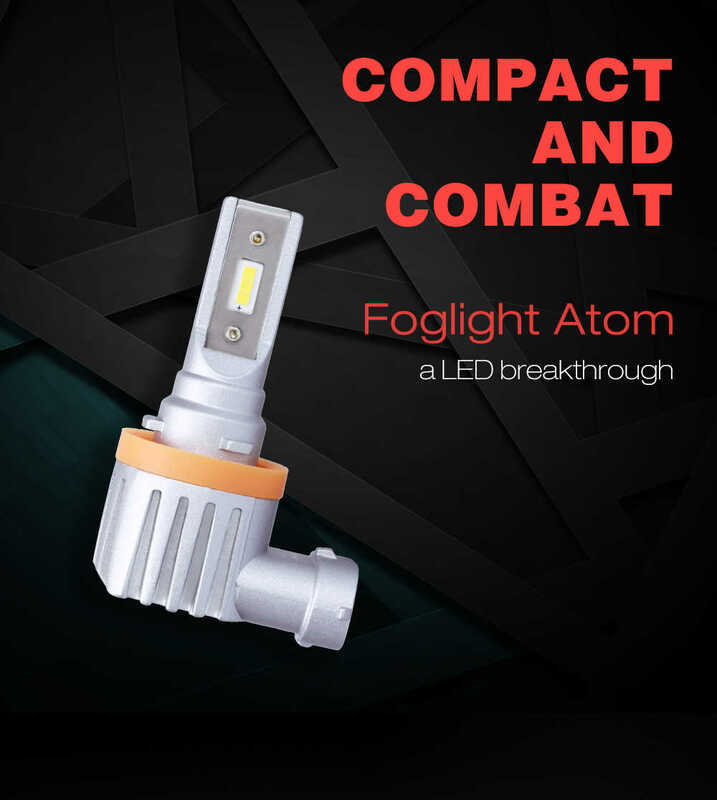 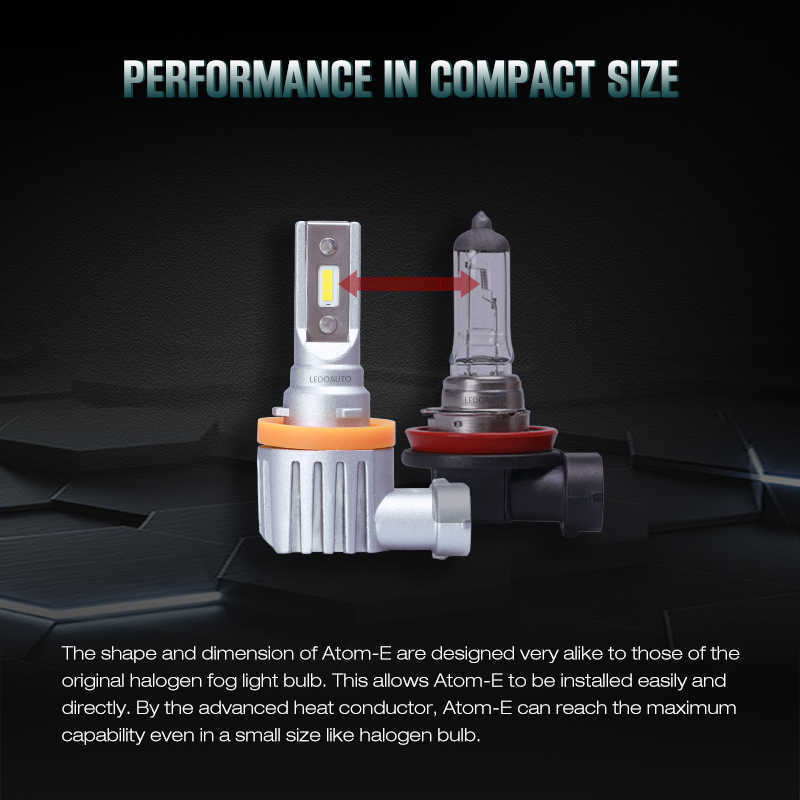 The advanced heat conductor allows Atom E to reach maximum capacity on halogen bulb dimension as well as make it be the best choice for your fog light upgrade. 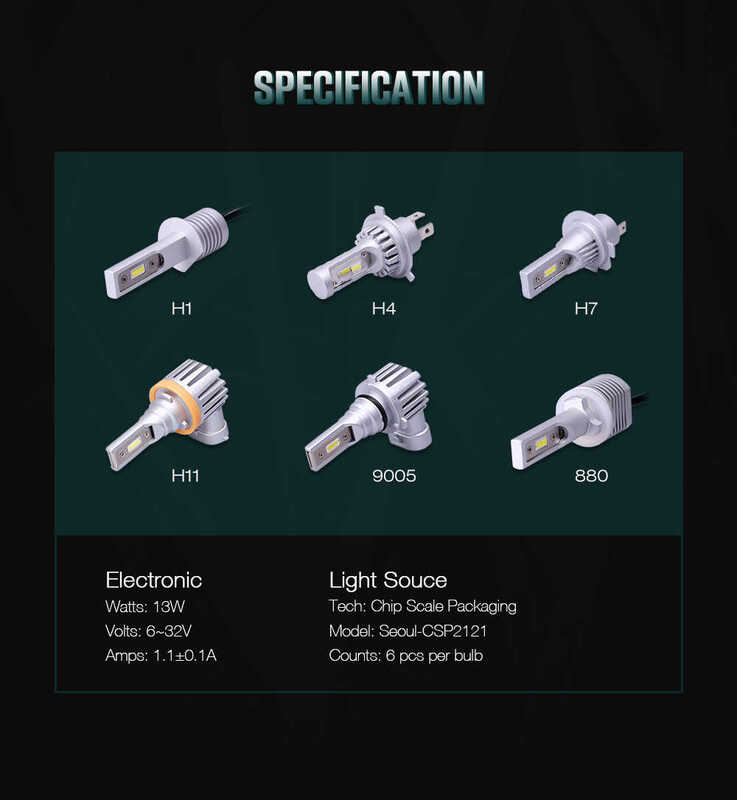 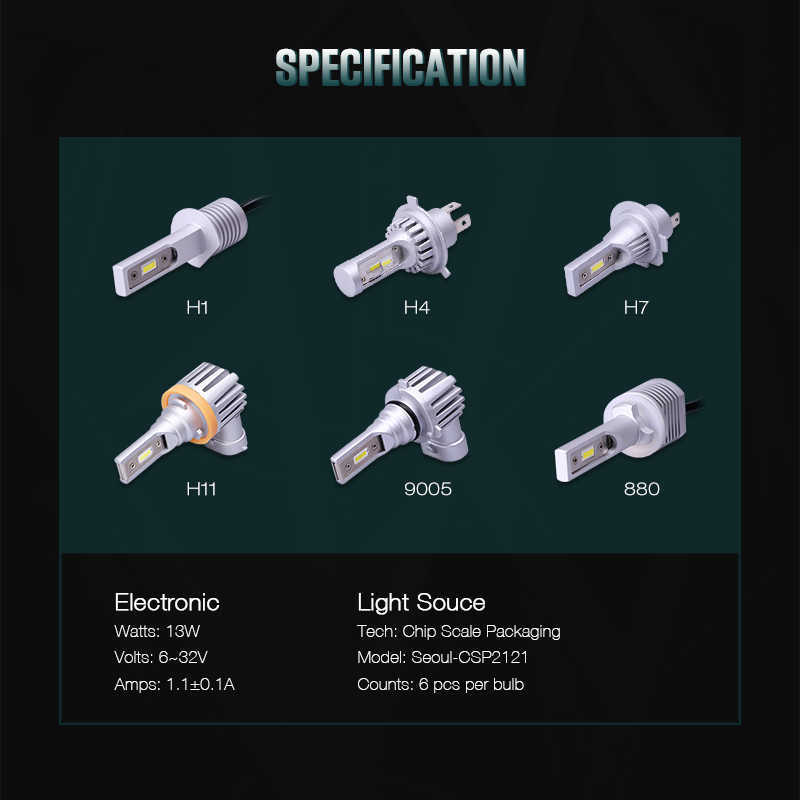 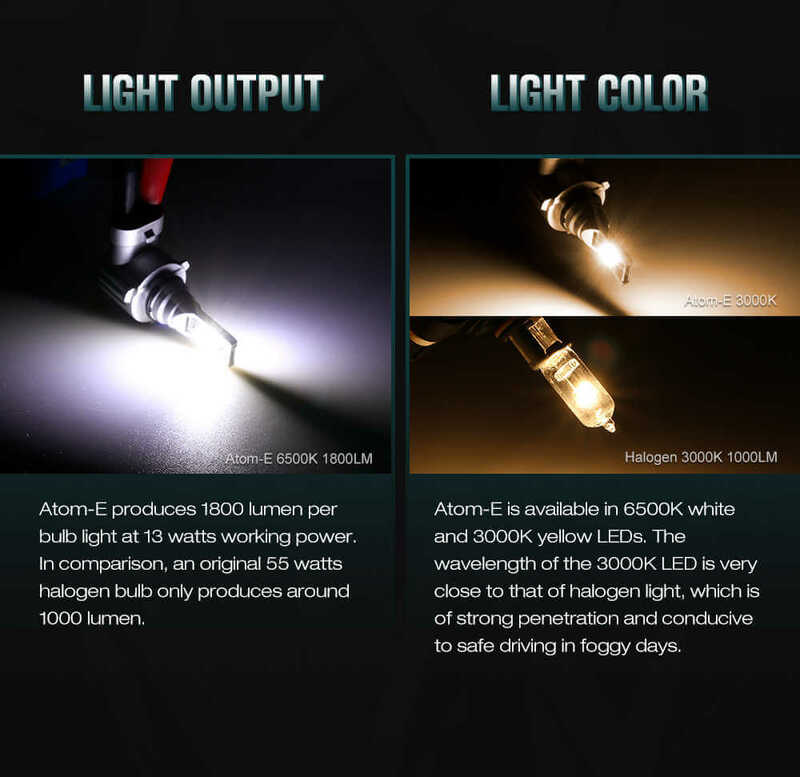 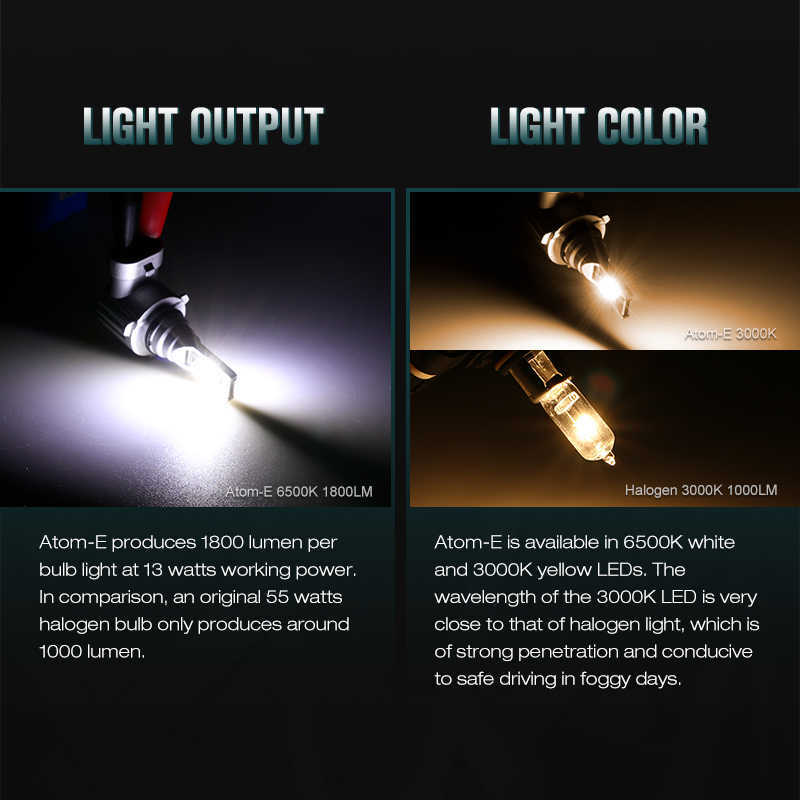 2, Atom E is available in 6500K white and 3000K yellow LEDs. 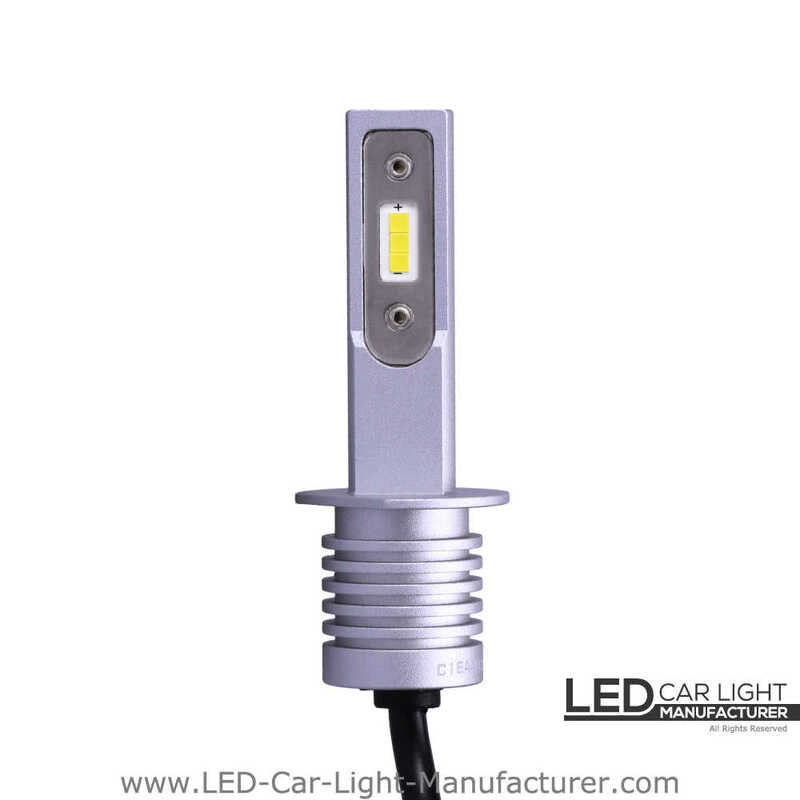 The wavelength of the 3000K LED is the closest to halogen light, which has strong penetration and is conducive to safe driving in foggy days. 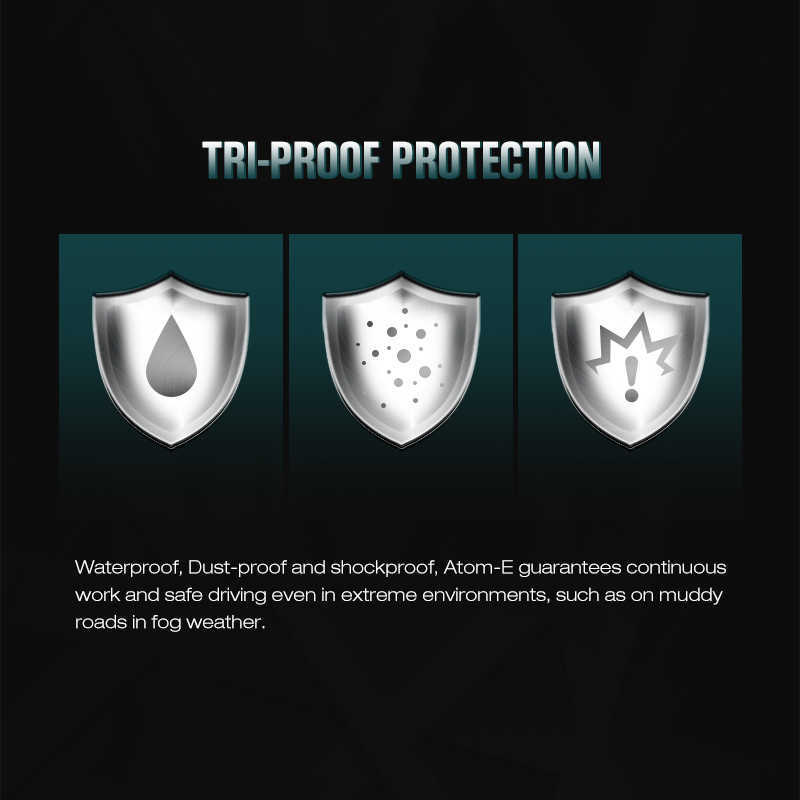 4, It is waterproof and dust-proof. 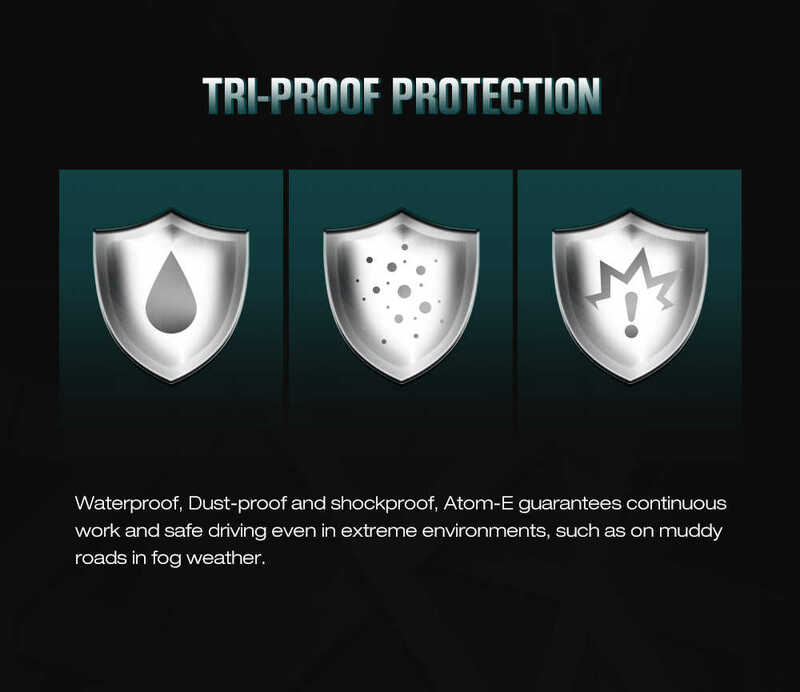 Even in extreme environments such as muddy roads and in bad weather, Atom E can guarantee continuous work and safe driving.